A report by congressional Republicans puts much of the blame on five federal officials for the “Fast and Furious” gun tracking operation. The report says the top ATF official had the opportunity to shut down the operation but did not . . Charlie Rose reports. 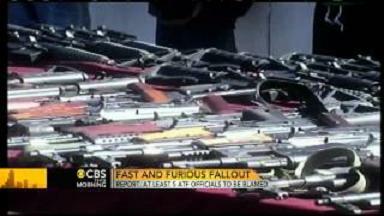 CBS news previously confirmed AK-47 assault rifles linked to ‘fast and furious’ were found at the scene of a shootout with Mexican drug cartel terrorists.